Give your data center the server it deserves with the HPE DL360 Gen10 5118. With 32GB memory it delivers a secure experience and high performance driven dense server that you can rely on for all of your IT needs: virtualization, database, and high-performance computing. The HPE ProLiant DL360 Gen10 server delivers security, agility and flexibility without compromise and at an affordable price. Rack-mountable and flexible configuration for small spaces complete this premium package. The HPE ProLiant DL360 Gen10 Performance Server delivers outstanding performance in the converged data centre space with RAID (SATA 6Gb/s / SAS 12Gb/s) (HPE Smart Array P408i-a); SATA (SATA 6Gb/s) (HPE Smart Array S100i SR Software) Multiple storage controller. The HPE ProLiant DL360 Gen10 Performance Rack Mountable server is adaptable for diverse workloads and environments. 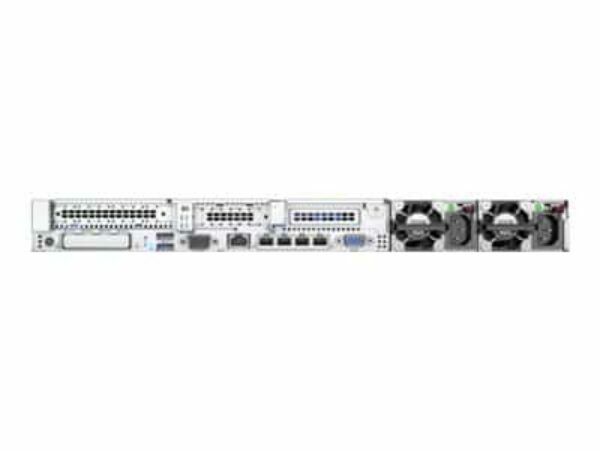 The 2 way ProLiant DL360 Gen10 Performance Rack Mountable server from Hewlett Packard Enterprise delivers excellent execution with the correct equalisation of expandability and scalability. The ProLiant DL360 Gen10 by Hewlett Packard Enterprise is an ideal unit with low energy consumption. Maximise application efficiency with the Hyper-Threading Technology, Intel Turbo Boost Technology and lets you achieve greater capacity with flexible drive configurations.